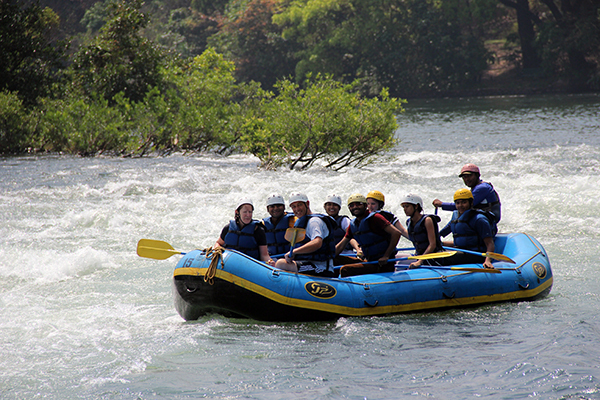 Action Zone is our dedicated team of Outdoor Professionals, which has been set up to develop and conduct different activities of Adventure tourism at our Resorts. All activities are performed under the guidance of our well-trained and certified resident Naturalists and our Action Zone scouts, offering a host of water, land and rope based activities. 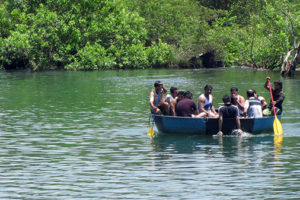 Our Naturalists offer you an experience with Nature, raw and up close. 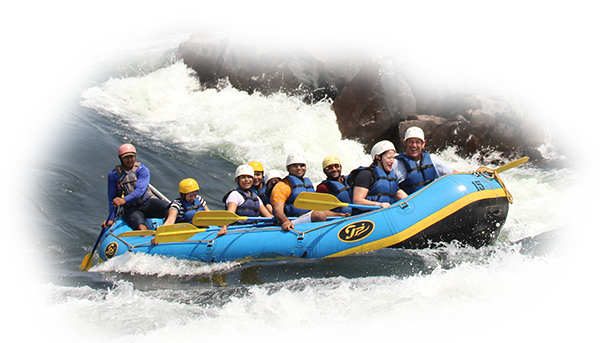 White Water Rafting – The most highlighted water-based activity in Dandeli, have a thrilling encounter with the gushing waters as you row away on an inflatable raft over a series of rapids. Jungle safari – Experience the wilderness of Dandeli in a semi open Jeep/Gypsy, keeping your eyes open for animals around you. Try your luck to spot the Black Panther or Leopard – a very common sight in Dandeli. 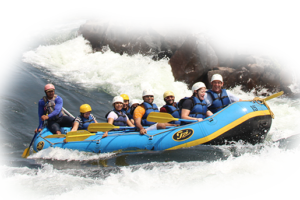 Camping – For the camping enthusiasts, stay in our pitched tents in our Resort campus itself, or go for an overnight stay at Kuveshi – near the Dudhsagar waterfalls. 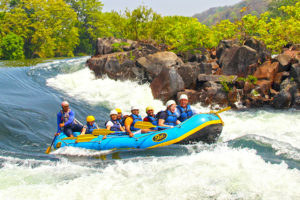 Kayaking – A low to the water kind of kayak/boat, single or double seater where you use the double paddler to move along the water. 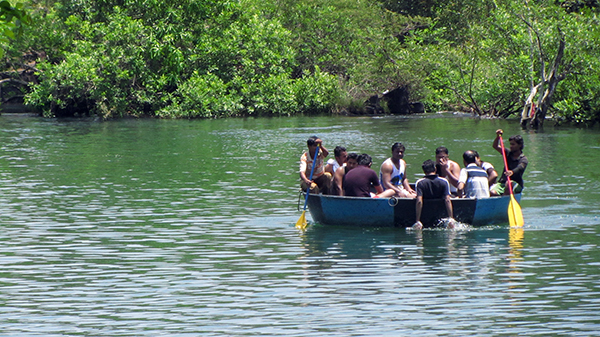 Coracle ride – Sit back and relax while you enjoy a peaceful ride in a round boat, custom made in South India. 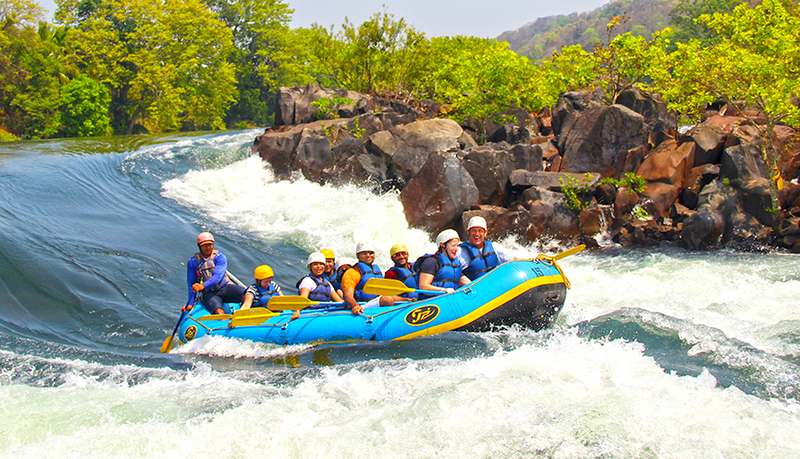 Spot beautiful and exotic birds on this ride, the beauty of Kali River. 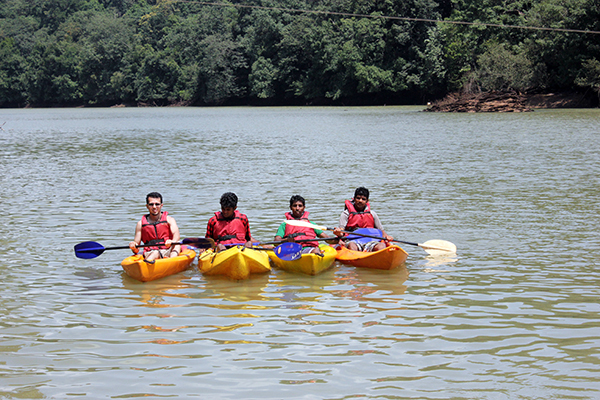 Nature walk – Take a walk amidst nature, where our naturalists give you knowledge on the flora and fauna of Dandeli, while witnessing some beautiful sights. Bird watching – Go on a bird watching session, where our naturalists will take you give you information on the exotic birdlife of Dandeli, a must go for birding enthusiasts. 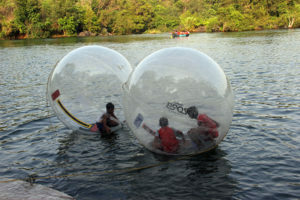 Aqua zorbing – Try to balance yourself on a giant inflatable ball, which is placed on water. 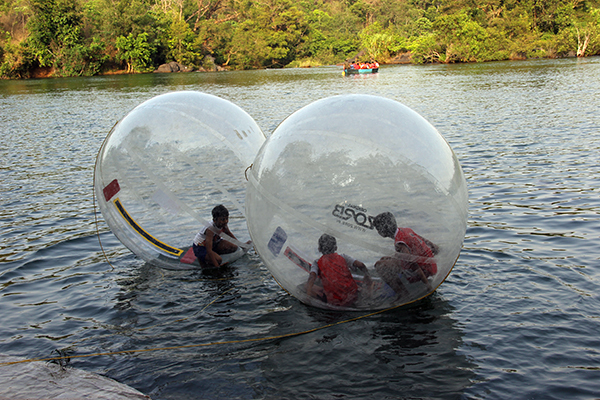 You get the feel of walking on water while you go crazy rolling yourself in this giant ball. 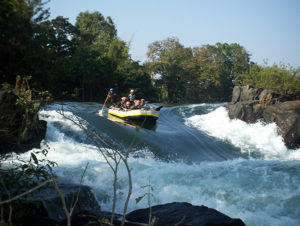 Jumaring – In simple terms, it means the technique of climbing with the use of ropes. Here, the ropes are tied to a high tree, while you use all your strength to reach the top. Rappelling – It is a controlled way of climbing downwards from a heightened rock patch or an artificial wall made at our Resorts adventure tower. Archery – Try your hand at the sport of archery, a modern way of using the age old bow and arrow. Rock climbing – Climb up the artificial rock wall with the help of grips, while maintaining your balance. Mountain Biking – Take a bicycle ride on the natural pathways of the forested areas near our Resort. River crossing – Cross over the Kali river harnessed on a rope which takes you from one point at our Resort to another point near the Rapid. 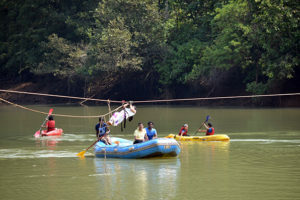 Burma bridge – Walk over a rope from one tree to another on a height, while you balance yourself and jump off the tree tied to a safety harness. 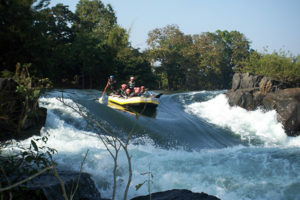 Natural Jacuzzi – Cross over the Kali river in our boat, and dip yourselves into hollows of rocks with gushing cold water pouring all around you. 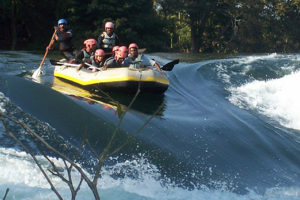 A hit among all tourists! Please contact us for packages and more details.